An E-shop is the website that is intented primarily to increase the sales of your products. An e-shop should be easy to use and direct for customers to use, which means to present quickly and cleanly the products that a visitor is interested in with rich content and imagery. You can showcase every product of yours with lots of photos, description as well as video. Each products page is fully customizable, so that it can be edited easily to fit the needs of each product. It is also possible to vary each product with different colors, sizes or bundles. All the above features can be configured from a user friendly environment that anyone can handle with ease after a few hours of training. Manage yourself everything in your e-shop quickly and easily. It is crucial that the eshop is managed by the owner of the eshop rather than a programmer. A developer doesn’t have knowledge of the product nor the company’s customers. The e-shop owner should be able to update the stock of his products, edit the descriptions and photos and manage the customers’ orders. Equip your e-shop with all the features that will help your visitor find the product that are interested in. Filter by attributes per product category and smart searching fields with keywords will guide your customers quickly to the right products. The compare function will help your customers decide between similar products for what fits them best. These helpful functions like user registration, favorite list and a point system can help build a constant connection with your clients. Your sales data is a source of wealth for you. View over time what you sold, when and to which customers. WIth these information you get a larger view of your total sales. 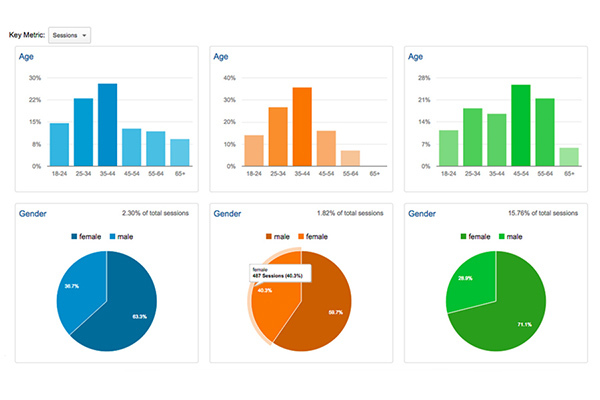 Furthermore, we connect your e-shop with Google Analytics in order for you to see data about your visitors before they convert to customers. This way you can check the traffic in your e-shop and discover missed opportunities or successes by reviewing the behavior of the customers. We can connect your eshop with any database system you already use. For example, you can receive your orders automatically directly at your ERP system. We can also configure your eshop so that it updates automatically the stockpile in your ERP system. Aftere developing your website ή e-shop, we provide Support packages. For a full list of our services, please visit our home page here, website development in Thessaloniki. You can also check some of the websites we have created.